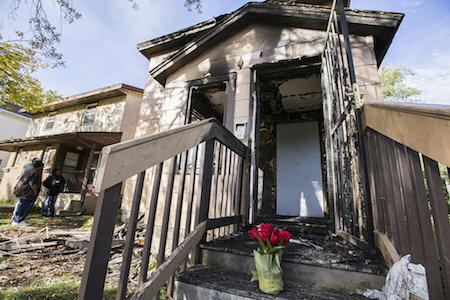 MINNEAPOLIS – Minneapolis fire officials suspect in oven used for heating may have caused a house fire that killed three children. Firefighters responded to the fire in North Minneapolis just before midnight on Saturday. They searched the home and found three children, two of which were already dead. The third died at a hospital. Their identities have not been released. Minneapolis Fire Chief John Fruetel says the oven door was open and the fire started at or near the stove. The Star Tribune reports that Fruetel warned city residents not to use ovens for heat. The home’s owner tells the newspaper that the family, a mother and three children, had just moved in, and the natural gas had not been turned on yet.